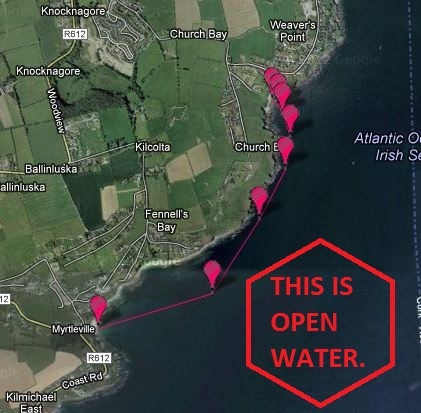 The RNLI Myrtleville to Church Bay (entrance to Cork Harbour) 2km open water sea swim takes place on Saturday, 28th June, 2014 at 5.30pm on an incoming tide. We will open up the entries in April. Some more details here. Get in the sea early and often to prepare! This entry was posted in Events and tagged Open water swimming events, Open water swimming races, RNLI, Sea swimming events, Sea swimming races by myrtlevilleswimmers. Bookmark the permalink. Yes, we will lose a few to the USA that day. A pity but tides and other events are setting the day for us.